Welcome to another edition of the Indian football news roundup. Today, we will talk about India’s latest FIFA ranking as they dropped out of the top 100, East Bengal keeping their I-League title race alive by getting the better of NEROCA, and Northeast United FC’s chances of making it through to the playoffs becoming slimer after sharing the spoils with Delhi Dynamos. In case you missed out yesterday’s edition of the Indian football news roundup, you can check it out here. India dropped out of the top 100 to be ranked 103 in the latest rankings update by FIFA. This has also ended the Blue Tigers’ seven month run inside the top 100 after attaining the 96th spot earlier. They were ranked 97 in the recent December 20 update. 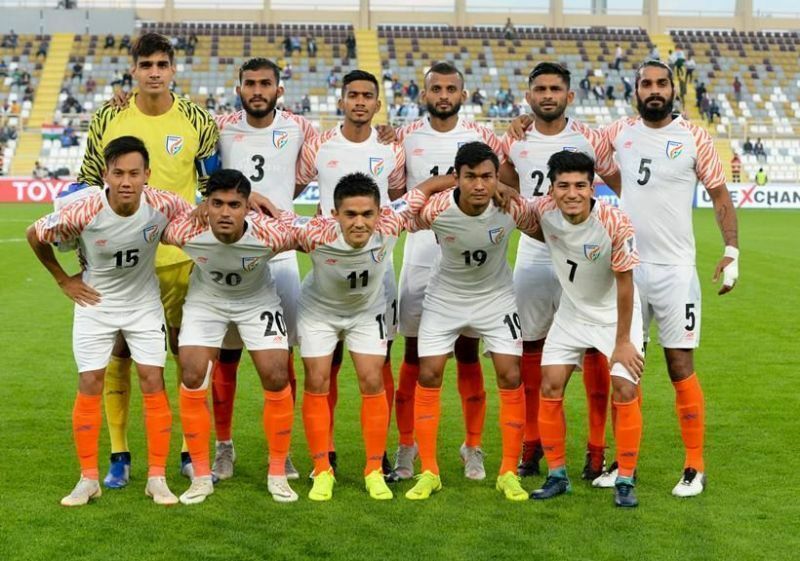 The dip in rankings can be attributed to India’s dismal performance in the 2019 AFC Asian Cup. The Blue Tigers started the sojourn on a bang by demolishing Thailand 4-1 in the opening fixture. 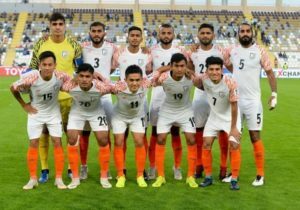 However, bad luck and fatigue withered the team in the ensuing two encounters and, Stephen Constantine and his men lost 0-2 and 0-1 to UAE and Bahrain respectively. The Englishmen resigned immediately after India ended their campaign. Qatar, who won the championship, surged 38 places to finish on the 55th spot. The top ten remains unchanged, with Belgium still on the top. East Bengal kept their I-League title race alive as they got the better of NEROCA 2-1 at the Salt Lake Stadium in Kolkata. Bengaluru FC loanee Chencho Gyeltshen drew the first blood in the 3rd minute after some brilliant passing in the attacking third. Laldanmawia Ralte did put the ball in the back of the net later in the first half but, the referee raised his flag for offside despite the replays suggesting otherwise. However, second-half substitute Enrique Esqueda who came in for Toni Dovale turned out to be a super sub. His brace in the 67th and 86th minute of the game, both of which came through the Mexican’s head, scripted a brilliant comeback tale for East Bengal. However, they are still fourth on the points table with 28 points from 14 matches. But, the gap has been closed down significantly as the title can go either on Real Kashmir, Chennai City FC, Churchill Brothers, or East Bengal’s hands. Northeast United FC and Delhi Dynamos shared the spoils in a tight encounter at the Indira Gandhi Athletic Stadium in Guwahati. The first half was a tepid affair with the Highlanders’ latest signing Panagiotis Triadis’ shot hitting the crossbar being the only goalmouth action. However, both the sides upped the ante in the second half by exploiting the wings rather than charging down centrally. Despite whipping in a staggering 21 crosses, it was Delhi Dynamos who broke the deadlock as birthday boy Marcos Tebar sent the ball home after the goalkeeper Rehenesh TP dropped Romeo Fernandes’ curling delivery. However, the joy was short-lived as Northeast United FC equalized three minutes later through their top goalscorer Bartholomew Ogbeche. Left back Narayan Das had clipped the Nigerian inside the box and the referee rightfully pointed towards the dreaded spot. Ogbeche showed steels of nerves to send the goalkeeper the wrong way and slotting the ball in the opposite end. Rowllin Borges struck the underside of the crossbar in the 92nd minute of the game and, that was how close Northeast United FC came to finding the winner. The fulltime scoreline read 1-1 as the Highlanders’ path to reach the playoffs for the first time in history hit a roadblock. Aaron Ramsey to Juventus is reportedly a done deal!